Where your dog is at our home! 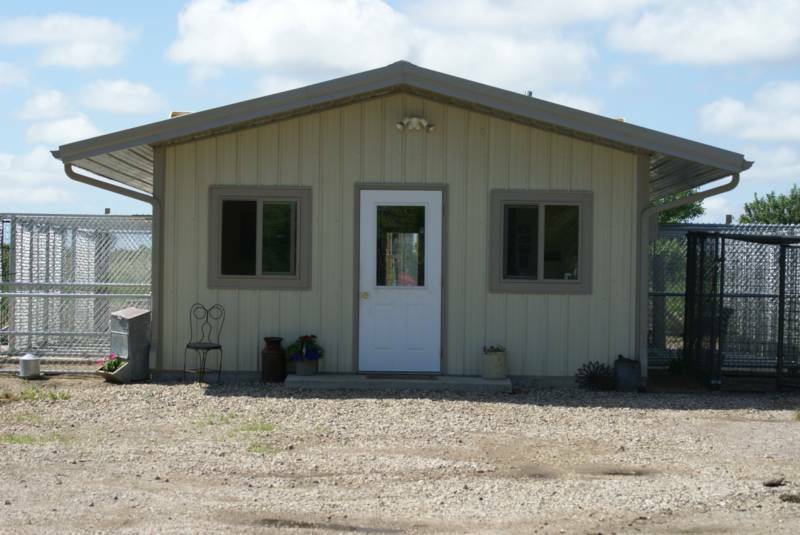 We are a dog boarding facility located 8 miles Northeast of Pierre. We take great pride in offering your pet a safe and comfortable place while they are away from home. We currently have two buildings, one with large suites, too! We offer several large exercise areas, and room to play. A heated and air conditioned building. 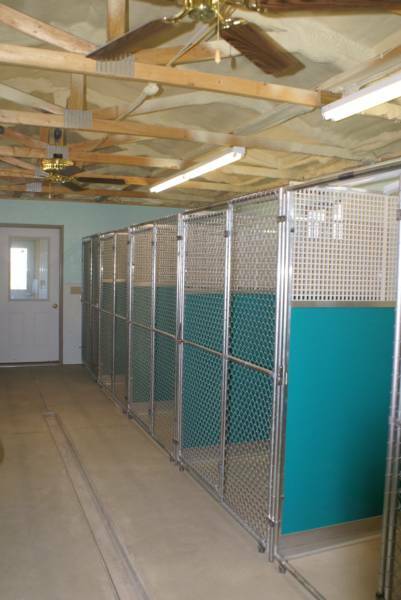 Large indoor/outdoor kennels. A clean comfortable place for your pet. The convenience of picking up your pet by appointment.